School doesn't start for another few weeks where we live, so we're gearing up and reviewing a few things with my 4.5 year old to get him ready. 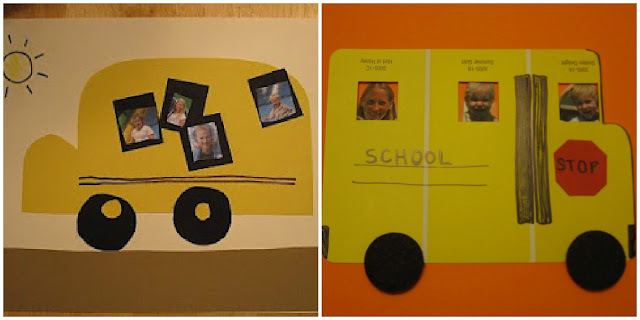 Over the next couple of weeks I'll be sharing some Back to School Basics posts that review simple math, reading, and writing skills for preschoolers and pre-k students. 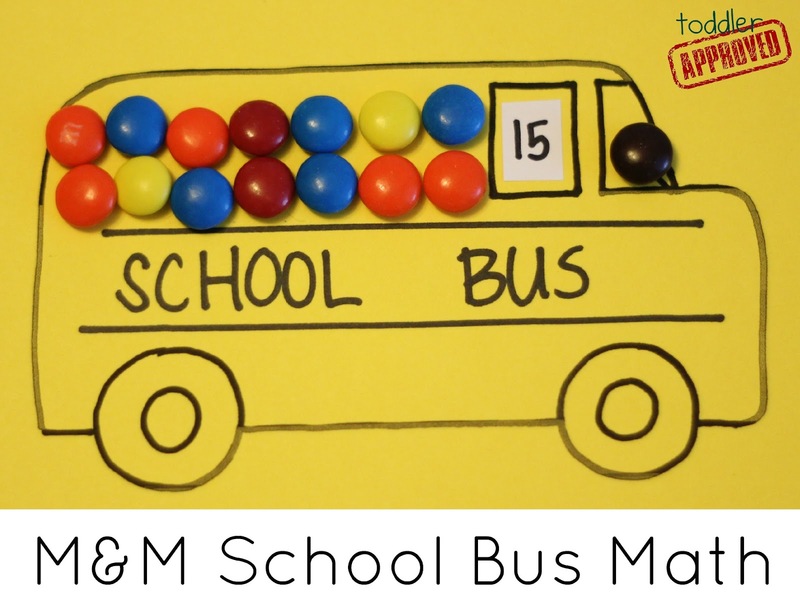 Today we are sharing a simple M&M School Bus math activity. I love using M&Ms as counters. If you aren't a fan you could easily use cereal or just little plastic counters for this activity. Roll the die and have your child read the number that lands face up. You (or they) can write the number in the bus window with a white board marker. Add that many "windows" or "people" (counters) to the bus. This way works on number recognition and counting. Roll the die two times. Have your child add the two numbers together (in their head or using counters) and then write the sum inside the bus window. Then they can count up the M&Ms and add the total number of M&Ms to the bus. This way works on number recognition, counting, and simple addition. Create your own way to play! What other math skills are your preschoolers and pre-kinders working on right now? I am a teacher and loved this idea. I also thought you could use it to show even and odd.In your example the "odd" m and m was the steering wheel.